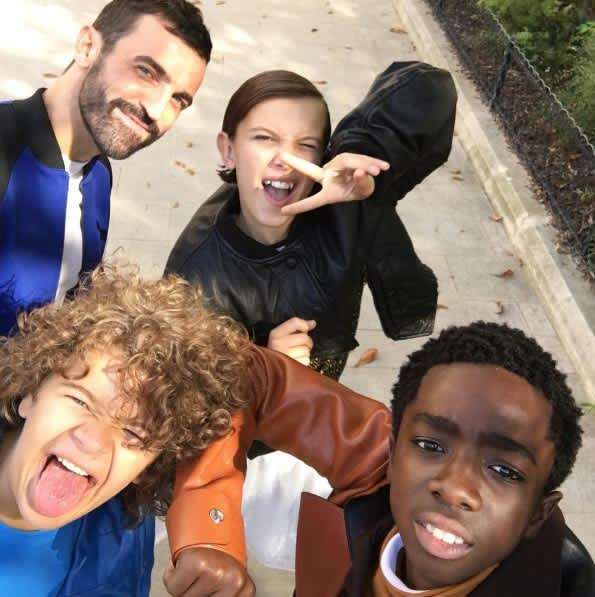 Stranger Things cast working on 'exciting project' with Louis Vuitton | HELLO! Stranger Things has gripped viewers around the globe since it first aired on Netflix over the summer, and it appears to have made some fans in the fashion world, too. 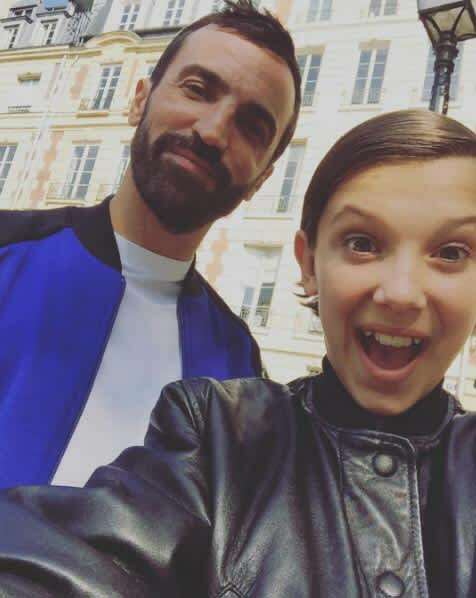 The cast of the sci-fi series have sparked speculation that they could make an appearance at Paris Fashion Week after spending time at the Louis Vuitton headquarters with the label's creative director Nicolas Ghesquière over the weekend. 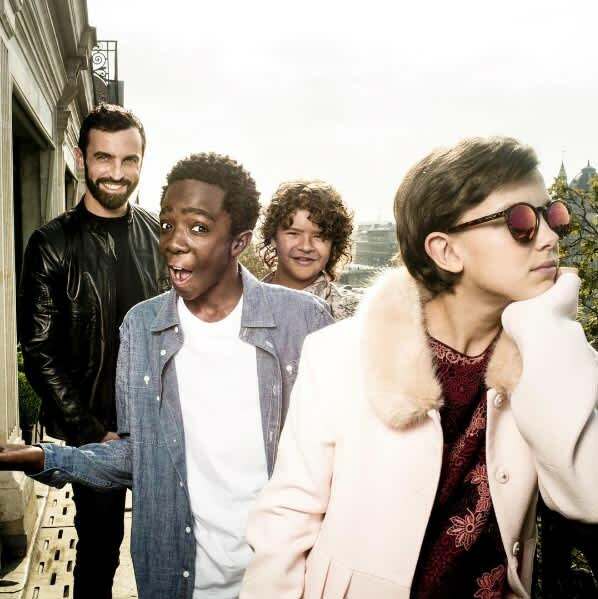 Nicolas documented the meeting on Instagram and shared a photo of himself and Millie Bobby Brown (Eleven), Caleb McLaughlin (Lucas), and Gaten Matarazzo (Dustin) hanging out together on a balcony. "Got strangers in the house today," he captioned the photo, which looked like it could have been taken from one of the brand's fashion campaigns. The designer later shared another photo of himself and the acting trio exploring Paris, teasing that they were working on an "exciting project" together. Nicolas teased that they were working on an "exciting project"
"Such a fun day and exciting project coming up thanks to all of you guys," Nicolas wrote. The caption has prompted many fans to question whether the Netflix stars could appear in Louis Vuitton's SS17 show during Paris Fashion Week, which is due to take place on Wednesday. Millie appears to have hinted as much in a video on her official Instagram post showing the Eiffel Tower, which she captioned: "Thank you Paris! For a spectacular time! See you soon! #dream #true #paris." It has been an incredible few months for the up-and-coming stars, who have gained a number of high-profile fans and enjoyed experiences including sitting front row at New York Fashion Week and performing Uptown Funk at the Emmys. We can't wait to see what exciting project they have planned next!